I think, probably, you have already known to the second largest search engine in the world. Do you really know? Ok, I understand that you know, that’s YouTube, right? The thing is if you are a YouTube channel owner with tons of subscribers, it can be said that you are definitely lying on top of one of the best marketing mediums available on the planet. But how can you maintain all these together? Though Facebook, Instagram, and Snapchat have taken the social video spotlight over the last few years YouTube is still an incredible marketing channel which is receiving over 30 million visitors each day and capturing 5 billion daily views. Are you surprised hearing this calculation? It’s not the end! One study that was done by GlobalWebIndex shows that one in four YouTubers watched a branded video last month. The study says more that it’s not just millennials using YouTube, either Google says that YouTube reaches 95% of online adults in a month who are the 35+ year of age. Moreover, according to new demographic data from Google that shows YouTube’s reach continues to expand to the older audiences. 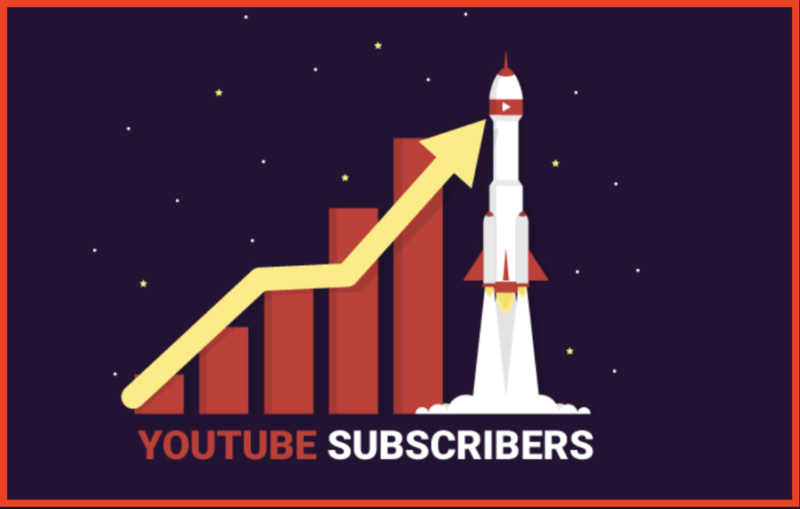 Now, in this post, you are going to learn how to get more subscribers for your YouTube channel in 2019. All of the aspects of this post are crafted in such a way that everyone can consume from beginners to pros level. However, if you are a pro- level YouTuber, you can skip the basic section and move on to the rest. These are the basic tips for people who are the newbie YouTubers and just started their YouTube journey. Though the discussions are pretty basic it will lay the foundation for your brand on YouTube. So, keep a sharp attention and follow each of these tactics. It’s a psychological issue that matters at a first glance. Make your YouTube channel’s homepage attractive and way more professional as possible. Always treat your channel as a brand! This will create an ultimate positive outlook of your YouTube channel. Remember, the impression you create on your visitor’s minds in the first 5 seconds, that matters a lot! Therefore, if you want visitors to subscribe to your channel, just treat your channel professionally. Consistency matters a lot in most cases of anybody’s life. Moreover, it’s the key point any relationship. The same rule goes for you and your subscribers. You need to nurture your subscribers with top class contents on a regular basis. Here, the math is pretty simple! The more quality contents mean the more time consumed from your channel. This continuation is a great signal to the YouTube that your channel is serious enough about the video contents. That also ensures the possibility of your videos appearing on the first page of the search results. Once your contents reach the first page means your content will get more and more views. 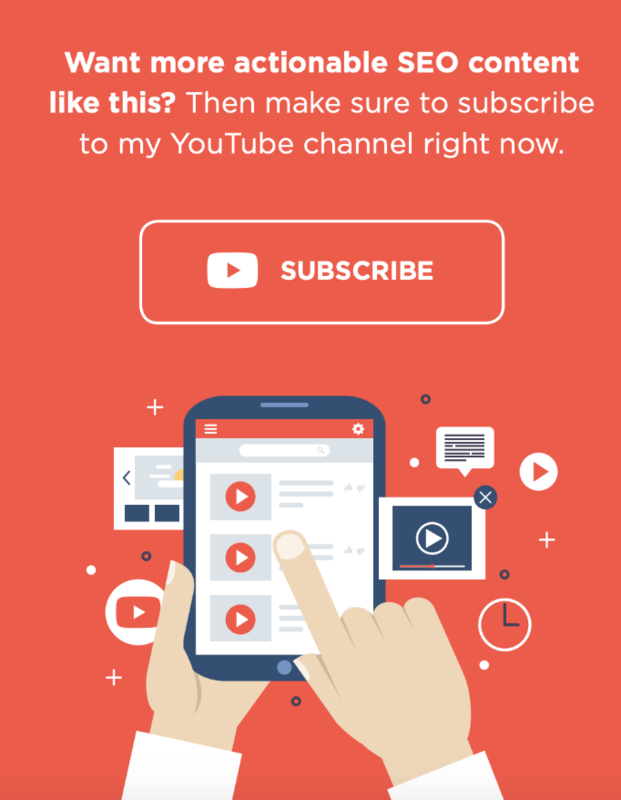 If the content of your videos is good, people will accept easily them and they will start sharing the videos which ultimately turns to more subscriptions. One of the best things you can do for your channel is that you can make and upload one video in a week. This continuation makes you able to retain subscribers and grow more subscribers by attracting new visitors. People always want to hear something interesting from you through your channel. In this case, a simple formula that could work which is 1 ❎4 formula. Try to publish at least 4 videos each month that breaks down one video per week. It’s also an easy number to remember and by following this strategy you will see that new YouTube subscribers are trickling in your YouTube channel. There are lots of sources that are showing you how to upgrade your channel, but most importantly you need to take action what you learn. Don’t waste your time rounding here and there. One thing, you need to create values and deliver those values right away. If you promote your products at the end, don’t tell people about your day, don’t talk about other videos, just do the exact thing that you need to do and tell them supplementary info after the task is done. It’s pretty easy now to use the thumbnails on your YouTube channel. Once it was a bit tough to use the thumbnail as only partners can use the thumbnails but now you can do as well just by verifying your phone numbers. Nowadays, maximum YouTubers are serious with magnificent vlog titles but they don’t put the same effort into creating thumbnails. They actually don’t realize that thumbnails are to videos. All the efforts you put into creating the videos will go to waste if people don’t show any interest to click on your videos. So make sure that you are creating a clickable thumbnail with the existing contents. This is one of the most impressive tactics that should be followed for getting more focuses from the visitors. You should spend a minimal time creating SEO-focused titles and descriptions. You can have a proper study about the YouTube channels and gross people what they are typing into YouTube and examine the results of those search terms. You are creating videos for all types of viewers so make things easy and understandable for each viewer. Using subtitles make things easy for many novice viewers. So always try to show your content that looks and feels most understandable to its recipients. To make your videos perceive you need to present your videos in a user-friendly manner. This is what the CC or subtitle does. Channel icon is one of the most important aspects for YouTube. Your Channel Icon shows up almost everywhere on YouTube. This is also important for the branding of your YouTube channel. For instance, you can use a high-res headshot brand icon for your personal branding. For company based channel, you can use a version of logo relating to your services for YouTube. In most cases, YouTubers don’t do anything to reaching out relating to this matter. This is what happens and it shouldn’t happen by the way! Maximum channels get ignored and YouTubers are struggling for this reason. You don’t need to have a PhD to position and brand your channel. You can do it just by creating a unique tagline. Whatever the contents are in your videos, it doesn’t matter but uniqueness matters most. Maximum YouTuber may not so careful about their channel description but it’s one of the most impacting aspects. If you analyze through maximum YouTube channel, you would find that maximum channels bear a short description that isn’t compelling enough. In this regard, you should tell in the description what the channel is all about. Gives some important information on the channel that provides value. Add a strong call to action button to subscribe. This section of the post is for who already have a decent amount of following and a good number of videos uploaded. That means if you are only thinking that you are about to start creating a channel, then this part isn’t for you. If you are the person who has a minimal number of YouTube followers, these advanced tips help you get more subscribers on YouTube! This is a great way to organize YouTube video contents for users. The playlist also helps in helping you to show in the search results. In this regard, you can also use keyword everywhere Chrome extension for tracking purpose. One of the most interesting things about the playlist is it will encourage visitors to watch the videos and at the end, they will be more likely to subscribe to your channel as they want your next videos. 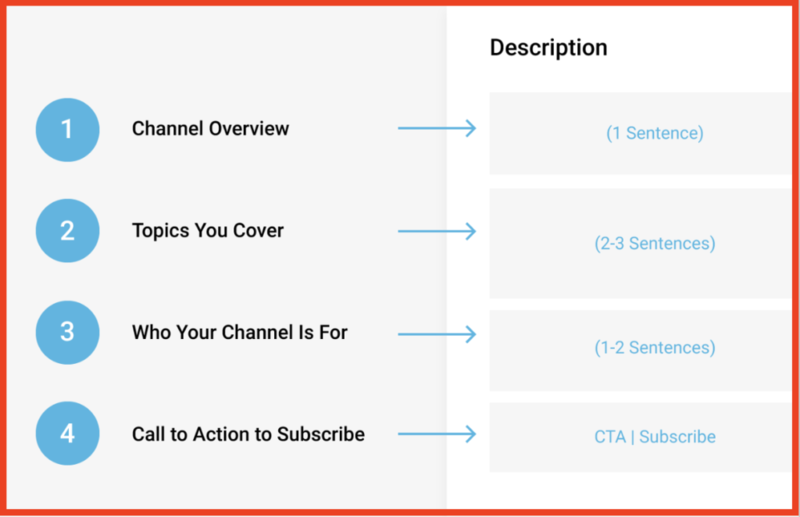 A channel trailer can grab the first look of your visitors. So make sure that your channel trailer is a catchy one. For making this happen, you can start the trailer off with your channel tagline. That means try to cover the tagline with your channel trailer. YouTube prefer the shorter trailers to convert best. For your new viewers, you need to able to pitch the great things about your channel quickly. It could be a minute long video. In that short span of time, try to cover the best stuff of your channel. This sounds bit unconventional but it works like insane! A few days back I saw one of the videos of Brian Dean which covers almost 14 minutes about link building and it makes me surprised. The videos ranks #1 position in YouTube for the keyword: “backlinks” that is totally insane. If you find that your a huge chunk of visitors is coming from Germany, you need to do something more to make your videos reachable. Simply it would make sense to translate the subtitles of your videos to the German language. This is another way to increase your subscribers on your channel. Try to pick channels that are worth enough for collaboration with you. In this case, keep eyes on which have subscribers who are interested in your videos. You also can be a part of Google’s dedicated community for making this happen. So that you can get lots of support from the community. Make a list of YouTubers and reach out to them. In this case, you can use a spreadsheet to document the whole process. This is the fasted way to increase your YouTube subscribers. Replying on the comment is a direct communication process to your viewers. Using this technique you can reach them directly. Another important aspect is YouTube internal data has found a clear correlation with the replying comments and the subscribers. It creates an impact because most of the YouTubers never reply to comments and when you comment, it becomes rapidly stand out. Once you have done all the aspect mentioned in the above means you are done with the basic and advanced technique, you need to know to satisfy YouTbue itself. If the search engine bots don’t know your channel, then what is the value of everything? You need to help them out by placing the right information in the right places. Without a click-worthy title, your worthy videos don’t get its proper value. Optimize video title for both humans as well as for search engine bots. For SEO purpose, put the main keyword in the title. This will increase the of appearing the search results in the first page. After appearing on the first page you need to raise CTR in order to gain the proper value. So that you need to be careful about the title as if it should be click-worthy. Keep in mind that using the word Video in the title may rank better in the Google rankings but not in YouTube rankings. Transcribing the videos can make the search engine bots know about your videos. That is how you can get familiar to the YouTube search engine boot. This will increase your possibility to get ranked in the first place. Moreover, transcribing helps people who are not good listeners or typically don’t have the option to listen to your videos. In YouTube, the meta tag is used to tell directly to YouTube search. engine bot what keywords you want to rank for. But it doesn’t mean that if you are giving perfect meta tag, your video will start ranking rather you have to wait for a certain period. In this case, try to target minimum 10-20 tags for your videos. Don’t use irrelevant tags in your video meta tag. Video category can clear up the confusion from your visitors. For instance, if your videos are about WordPress plugin, you shouldn’t place this under the theme category. Moreover, people like to surf the net according to their own interest. In this digital world, you can get lots of tools for reaching your site on the top. Tubebuddy is one of the most worthy tools for YouTube video management. It can help you in many aspects including video SEO, annotation etc. Bird Song Analytics is another tool to spy on your competitors. This is the most extensive hacks that drive traffic from social media sites for the YouTube channel. The equation is pretty simple! Over the years, Facebook marketing has changed a lot as it now prefers native videos over anything else. Once it was as simple as sharing the YouTube links. In the case of Facebook, long videos don’t get the priority than that of the long videos. So you need to create short videos for Facebook marketing that could make sense for your channel. Moreover, you can provide them with some incentive for checking out your channel. In the end, you also mention about your channel and try to drive traffic to your YouTube channel. It’s not the front page of the internet for nothing but the idea over here is to join as subreddits that are mot relevant to your niche. In Reddit, there are multiple ways to promote YouTube channel. Either you can post your video directly or you can ask for feedback. You also find a suitable post for posting the video where your video can add much value. Keep in mind that using the first method you can be a source of backlash. Because Reddit is one of the places where people usually do troll with this and that openly. So be mindful about the issue. But in the positive sense, it does bear a great impact on your channel. There are also lots of examples that show positive feedback using the Reddit platform. Amazon is one of the most influential marketplaces where you can promote your YouTube videos. People go to Amazon to buy stuff and you can target that audiences. In the Amazon review section, there is a review section that is a less explored goldmine to send traffic to your channel. In this case, you must not provide direct reviews directly as it’s not allowed in that way. Otherwise, Amazon will ban your reviews. You have to manage this smartly using techniques. This technique can be used for any kind of niche. Most importantly if you can use this properly, it’ll be more effective for your YouTube channel. As YouTube is the search engine for videos, likewise, Pinterest is so for image searching. If you aren’t. able to create any images then hire a professional designer or you can use DIY tools to convert videos into kickass images. First of all, you need to create boards for each type of video and categorise them properly. Then place a list of such type of videos that get featured on your channel. After doing this, start pinning the featured video’s images with a shareable image link to your YouTube channel. You also can promote your channel in podcast interviews, in your Ebooks and so on. Growing YouTube subscribers is not a hard thing and simultaneously not an easy thing as well. It depends on the strategy you are adopting for your YouTube channel. Moreover, you need to be consistent in implementing all these tactics mentioned above in the post. You can pick at least 18-20 of these tactics to create a checklist. Try to follow the checklist for at least 6 months. You would be surprised to see the kind of growth that awaits you! Which strategy of this post makes you excited to execute first? Or you may have some question regarding the article you have read. Whatever the issue comes up in your mind just let me know by leaving a comment below right away. I would love to catch you back.